This astonishingly good debut from a 16-year-old artist offers powerful music in the alternative/ modern rock vein. From straight-ahead rock, to piano and orchestra accompaniment, this engaging CD marks Katy as an exciting new force in Christian music. Katy Hudson grew up in Middlesbrough, England, and started her illustration career as a small child drawing on freshly painted walls around the house! Her parents quickly dissuaded her from using this medium and encouraged her to draw with pencil and paper instead.<P>The idea stuck (the pencil was updated to an inkpot and pen in some cases), and after some lovely time at art college and a degree in illustration, Katy is now a freelance illustrator based in Greenwich, London. This is her first picture book. 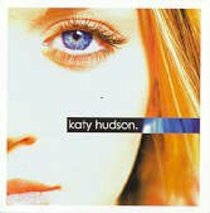 Customer Reviews For "Katy Hudson"
I have owned this album for about 5 years and love it, she has a very interesting vocal range. 6 years later, she has since re-invented herself and now goes by the name of KATY PERRY, who has recently released a new secular album called, 'ONE OF THE BOYS'. She has recently had a hit single with 'I KISSED A GIRL' and follow up single, 'BLACK AND WHITE' What a complete turn-a-round! I was as shocked as others seemed to have been with this revelation! !